A bank is a financial institution that brings together depositors and borrowers for giving/receiving surplus and deficit funds respectively. The objective of a bank is to make a profit while acting as a middle man between the above mentioned parties. Most of the bank now concentrates of marketing feasibility to earn and generate opportunity to hold existing to keep loyal customers, in the business proverbs it is told that loyal customers increase the forthcoming gainful revenue. In this report I am trying to focus about services offered by SEBL, customers’ perception about the level of customer service provided and its implementation possibility for Southeast Bank Limited Banani branch to overcome the all kinds of customer objections for the service failure and weakness. First part of this report is based on the introduction which includes topics like origin, objective, background, methodology, limitation of the study. Basically it defines the way and background of the study to prepare the report. In the next part of the report highlights a brief background of Southeast Bank Limited, with their mission, vision, objective and also providing a brief summary of all retail product and service offered by the Southeast Bank Limited. Next part is basically about the tasks done by me during the internship. A questionnaire was used to collect data from the local clients, regarding service and solutions that are offered by the institution to its customers. Data from surveys and interviews of the Bank’s customers have been used to investigate clients’ views regarding the quality and standard of the services; to identify the gaps between the services that clients want and to suggest ways of improving the services. These data were analyzed using different statistical software’s like SPSS and MS-Excel. This report is also consists of all the findings of the report provided with some recommendation in order to improve customer service quality as well as customer satisfaction level based on the observation and work experience during internship period. Bank is a financial organization which plays a vital contribution to develop, monitor, and control any country’s economy as a financial intermediary. Previously, in financial business sector there wasn’t that much competition to do banking business. However, now-a-days the tradition of banking business has been changed a lot. Additionally, due to globalization the competition of banking business increases severely worldwide as well as in Bangladesh. According to type of financial activities banks are divided into mainly into four categories and those are nationalized banks, Local Private Commercial bank, specialized financial institution and foreign bank. At present, in Bangladeshi banking system there are four state-owned commercial banks, five specialized banks, thirty eight private commercial banks, one land development bank and nine foreign commercial banks. Though, the competition in financial sector with bank to bank is increasing day to day, still domestic banks are lagging behind on many fronts compared with foreign commercial banks with wide range of capitalization, strong network, modern technology, updated managerial expertise, experience, etc. As, Modern business has come up with the concept with customer service with best quality so, this concept became an influential and vital key to get success in business. Now-a-days banks are also focusing on not only better product and promotion but also best customer service to create loyal customer. To present an overview of Southeast Bank Limited. To analyze the different types of banking activities in the branch level. To present about the customer service analysis of bank. To have a practical relation & reliability of the topics we have achieved from textual background in our educational life. To develop understanding of customer service process and standard in banking sector. To make an opinion on the report. 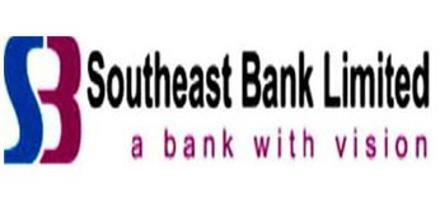 Southeast Bank Limited is one of the private commercial bank in Bangladesh. This bank started its successful journey on March 12, 1995 as a Public Limited Company. This bank received its banking license from Bangladesh Bank on March 23, 1995. After that this bank is one of the fast growing second generation private sector bank with a view to stand out as a pioneer banking institution in the country and contribute significantly to the national economy. At present SEBL is operating with 106 branches including 5 Islamic branches and plans to expand more new branches in the near future in important business hubs including rural growth centers with solution-driven high quality banking and financial service to contribute towards expansion of trade and commerce/Industry and agricultural for balanced growth and economic prosperity of the country. Option is available to collect e-statement on monthly basis. Current deposit account is a transactional account where no restriction on number of transactions in the account is. Current deposit (CD) Account can be opened for individuals and business concerns including non-profit organizations. Loan of Maximum 80% against the lien of the MSS amount deposited can be availed. Monthly Installment Size and Benefit After Maturity. Allowed to open more than one MDS Account for different amount at any branch of the Bank. The customer may avail loan facilities against Mudaraba MTDR Account as security. Allowed to open more than one MMDS Account for different amount at any branch of the Bank. (PC) to assist cash flows for manufacturing or packing goods for export from Bangladesh. Export finance requirements are carefully taken by the Bank and allowing to enjoy competitive interest rates and timely credit. – SEBL negotiate export bills drawn under Letter of Credit, if the documents are found to be strictly in terms with LC conditions. Southeast Bank Limited facilitates its customers with FOREIGN DOCUMENTARY BILL PURCHASE (FDBP) and FOREIGN DOCUMENTARY BILL FOR COLLECTION (FDBC) for export bill negotiation. All these facilities come to at competitive rates and world class service standards. Export LC transfer facility (full or partial) is available with competitive fee. Bank Guarantee facility is available. SEBL offers comprehensive range of Import services. SEBL is highly respected in the world of international finance and cross border transactions and also Post shipment finance such as LIM, LTR etc for customer’s immediate liquidity the benefits for doing Import through SEBL are. – SEBL issue Import Letters of Credit on behalf of bank customers. SEBL experts can advise in drafting the LC terms and conditions so as to protect customers’ interests. – Documentary Collections are a common and flexible method of payment for goods purchased from suppliers in abroad. Southeast Bank Limited offers a wide range of export services. Routing all export related transactions through Southeast Bank Limited could eliminate many of exporting hassles. – Southeast Bank Limited allows prompt advising of export letter of credit from a wide international network. – SEBL provide pre – shipment finance in the form of Export Packing Credit (PC) to assist cash flows for manufacturing or packing goods for export from Bangladesh. Export finance requirements are carefully taken by the Bank and allowing to enjoy competitive interest rates and timely credit. The success of any product is largely dependent o customer’s satisfaction and acceptance. Offering and selling a product or a service is just the way of beginning of a relationship between bank and customer which is to be built and maintained over the year. According to the needs of project I need to survey on customer to find out service experience of SEBL. Customer survey results are helpful to find the information regards the effectiveness of service which is provided by SEBL. Here in the part I have shown demand of customer satisfaction is related with its customers’ financial position and demand (by their occupation) and are they satisfied with SEBL or not. I have contacted to the respondent individually with a questionnaires. Then I gave them close ended questions. Most of the person gave answer of my entire question. Some didn’t due to their busyness and lacking of knowledge about service. After all, I can manage to get 30 survey responses to do analysis on customer service. SEBL is an organization which is operating their business successfully in the banking sector since 1995. Therefore, it is very tough to recommend on any aspect of the company. However, as it is the requirement of the report, I have come up with few recommendations, after conducting the research. The file maintenance system of SEBL is not that much organized. While I am doing internship at SEBL Banani branch I found scattered file keeping system. When, a file needs for any information form archive store it wasn’t so easy to find a record. Employee shortage is also another problem of this branch. According to the work pressure numbers of employees are enough. For example, in the Banani branch there are cash counter for transaction but assigned employees for this counter are only two. So, during the time to heavy customer queue, these two employees need to work hard to give service. In this branch there are 3 counter of customer service desk and to take service there are always occurs gathering in front of CS officer. Token box for maintaining queue sometime available when the machine is ok. Most of the time this machine found not working. It is also found lack of knowledge about functions of excel, word, software of computers whereas they spend whole day to do some entry work manual way. The software used by employees of SEBL named “Ultimus” is also having a serious problem that is it is not fast enough to give fast service. Another problem is it crash frequently though the software has several gateway to keep running operation but it hampers smooth service. Take a survey to customers why participation of woman in banking transaction is low. Try to develop some steps to attract woman customers to encourage banking transaction participation. Take a proper maintenance of token machine because it helps people to take service according to the queue. It will also help to reduce gathering from front desk. Some customers still confused or feel negative about service alert. As we know that a negative customer could be harmful to an organization if the customer uses negative words of mouth to express his/her dissatisfaction. Bank should look after this issue. Some customers found confused about the error-free record maintenance. Probably they are not clear about their transactions or they might found some errors in their transaction record. Feeling confusion about service is very dangerous for building confidence on customers. If confidence is decreasing then they will reduce transaction with bank and will try to switch other bank. Bank should ensure error free record keeping of transactions of customers. Suggested to recruit some employees to reduce the extra work pressure from every employees of SEBL Banani branch. This will also help to increase both speed and perfection of work. Update the major software “Ultimus” adding with present requirements so that employees can work faster and smoother. Manage a training season on advance Microsoft office to make proper use of computer work. As an organization Southeast Bank Limited has earned the reputation of top banking operation in Bangladesh. From the starting 1995 to till this bank is growing fast. The structure of the organization is getting stronger and stronger day by day. Since the banking service especially the private banks are doing great performance in their business. Moreover, the modern people are more concern about securing their valuable assets and get high-quality and timely service. Therefore, to provide promising service lots of new commercial bank has been established in last few years and these banks have made this banking sector very competitive. So, now-a-days banks tried to arrange their operation and do their operations in terms of the need of the market demand. To exist in the market customer satisfaction is one of the very influential factors. To satisfy customers it is necessary to develop product as per customer as well as market demand. Though it is tough to gain 100% satisfaction from customers and there is not exact definitions of satisfaction so bank should focus on maximize the level of satisfaction of its customers. Southeast Bank Limited Banani Branch started its journey few years ago and within this time period they gain good trust from its customers as per the survey. Though there is some lacking still there, bank should work on it to minimize this problem.